This attractive and useful item, which is very refined remains inexcellent antique condition, and bears no monogram. - Weight.43 troy oz (13.6g). Authentic ORIGINAL TIFFANY & CO. "RETIRED" BAMBOO STERLING SILVER & 18k GOLD LADY BUG ACCENT. The Bookmark is in Excellent condition, no marks or dings on it anywhere. It weighs right at 60.7 grams on the scale that I have. PRETTY COOL AND CLASSIC TIFFANY BLUE YOU CAN SPOT A MILE AWAY. THIS IS AN AUTHENTIC TIFFANY AND CO. SMALL FINDER THT ONE HOUSED IT'S FRAGRANCE COLLECTION CATALOG. LOOKING AT ALL THE PICS WILL HELP YOU UNDERSTAND IT’S CONDITION. 1999 Tiffany & Co. 1837 Sterling Silver 2" Circle Bookmark Monogrammed. Monogram could easily be removed if you choose to. Comes with all items in pictures. International buyers pay any additional shipping and customs fees. TIFFANY & CO. STERLING SILVER "ATLAS" COLLECTION BOOKMARK!!! This is a fabulous bookmark from Tiffany & Co.'s "Atlas" collection! This bookmark is rare and retired and just wonderful. I'm a firm believer in open communication and fair dealing! Markings : TIFFANY & CO. MAKERS STERLING. To convert to CM amd MM. AUTHENTIC TIFFANY & CO. STERLING SILVER OPEN HEART MULTI STRAND BRACELET 7.5"
This is an authentic Tiffany & Co. sterling silver bookmark. In excellent condition pre-owned condition with light wear. The front is engraved with the initials TKA. Hallmarked on the back Tiffany & Co. 925. Authentic TIFFANY & CO. Genuine 925 STERLING SILVER VIOLIN CELLO GUITAR BOOKMARK. Engraving: "TIFFANY & CO STERLING 925". Authentic Tiffany & Co. It is 5 1/4" by 3" and is in nice condition. I have ton of other Tiffany & Co.
Ending Friday at 1:41AM PHT18h 59mFrom United StatesBrand: Tiffany & Co.
Sterling Silver Book-Shaped Bookmark. The reverse side is signed and hallmarked, "Tiffany & Co. 925 ©". Designer: Tiffany & Co. Hallmarks: "Tiffany & Co. 925 ©". Gross Weight: 17.4 grams (11.2 dwts). Sterling Silver Piano Book Marker made in 1990. 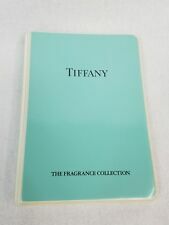 Together with its classic Tiffany blue felt pouch, box, and paper bag. Dates to the 1990s. Fully marked on the back. No monogram or engraving. In clean, shiny condition. No dings or dents. Up for your consideration is a beautiful, incredible condition Authentic Tiffany & Co. Elsa Peretti Sterling Silver Bookmark. This Book Mark is in exceptionally good pre-owned condition. We look forward to hearing from you soon! The back is engraved with: Ⓒ Elsa Peretti TIFFANY & CO. 925. See the photos above. Includes a Tiffany pouch. Item: Bookmark. Size: 2-1/8" x 2". Tiffany & Co. There is wear and light scratches. 100% Authentic TIFFANY & CO. STERLING SILVER Rare Square Bookmark. Marked “TIFFANY & Co. In excellent condition. Tiffany Pouch Included! Exact ring I was searching for; love it! l 8 ( 547. b 3 ( 410. ). From United StatesBrand: Tiffany & Co.
🎄🎄Tiffany Sterling Silver Christmas Tree Bookmark! Gift giving condition. Just a couple minor surface scratches from handling. BLUE BOX LOVE. I have been collecting for 25 years and I know what counterfeits look like. Sterling Silver Teddy Bear Bookmark. It's a fine gift for yourself or a loved one and makes the perfect addition to any jewelry collection. Condition - Great Condition! Includes soft fitted Tiffany & Co.
L x 7.5 in. W x 3.5 in. H (1 lbs.). The warranty does not cover loss, theft, misuse, abuse (intentional or unintentional,) unauthorized modification, improper storage conditions, lightning, natural disaster, or random acts of God. Hallmarks: TIFFANY&CO MAKERS STERLING. This bookmark is no longer available for sale from Tiffany & Co. (retired). Authentic Tiffany & Co. silver bookmark. Decorated with a maple leaf prominently displayed on top. Tiffany & Co Computer Bookmark Vintage Sterling Silver w/ Box RARE! Includes : Tiffany Gift Box. The bookmark makes a perfect gift for the anyone in the tech field with it's great retro PC design! The condition isgood for an item of it's age withminor visible marks from use. S5370K Authentic Tiffany & Co. Silver 925 Bookmarks. Material [Silver 925] Total weight (gram / approx) : [10.88]. Because it is silver 925 it may be more beautiful if you maintenance. Color [Silver color (Check it Photo!)]. From JapanBrand: Tiffany & Co.
TIFFANY & Co. Sterling Silver Maple Tree Leaf Bookmark Page Holder Paper Clip - Retired. Marked "Tiffany & Co. Weighs 9.7 grams. All in very good condition. Sterling Tiffany. Tiffany Bookmark. Silver with Original Bag. You are buying a Tiffany & Co. You're getting the box and dust pouch, it was own by one owner. They are getting harder to find, so jump on this nice bookmark. STERLING 925 1990". All in very good condition. Sterling Tiffany. Tiffany Bookmark! Silver with Original Bag and Box. Properly signed Tiffany & Co and. 925 for sterling. In small Tiffany Blue Bag. S5301K Authentic Tiffany & Co. Mulberry leaf motif Silver 925 Book Marker. Material [Silver 925] Total weight (gram / approx) : [6.68]. Color [Silver color (Check it Photo!)]. Size (cm / approx) : Length [7.8] / Width [1.1 – 2.7]. TIFFANY & Co. No Longer Available at TIFFANY. Sterling Silver Computer Bookmark & Pouch. High Polish.925, Sterling Silver. 2.5" x 2.0". Suitable for Engraving. This beauty was designed by Elsa Peretti and signed by her. Tiffany & Co. Heart Shaped Book Mark. Sterling Silver. Near mint condition. Has its box & bag. Sterling silver bookmark by Tiffany. With it's Tiffany Pouch and Box. Male Symbol ~ Circle with Arrow. Tiffany & Co. Sterling Silver Bookmark. Lake Worth Gold MIne buys gold, silver, platinum, diamonds, watches and coins. Material: Sterling Silver. Silver Jewelry. Lake Worth Gold Mine. Gold Jewelry. Silver Coins. Tiffany & Co. 925 ~ VINTAGE HEART BOOKMARK ~ Sterling with Original pouch 2"